This week’s Friday favourite is Double Zero in Chorlton, a pizza place that lets you bring in your own booze – does it get any better than that?! I had my first Double Zero experience last weekend with my brother and some friends, after an afternoon enjoying the Northern Quarter’s street party in celebration of Record Store Day. Needless to say, pizza seemed like a very good idea by that point! Thankfully we’d booked a table, as the queue for walk-ins was out the door by the time we sat down around 8pm, which goes to show how popular the place is. 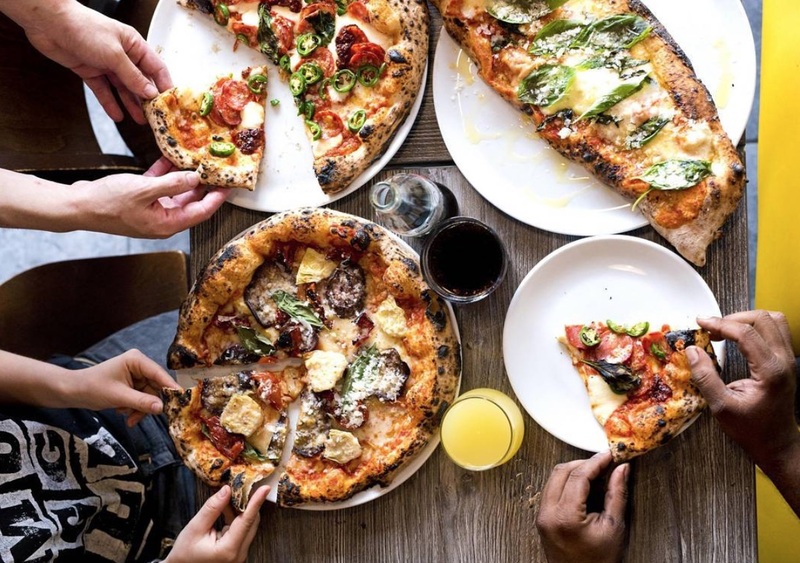 The pizza menu is extensive, with an amazing selection of toppings on the restaurant’s trademark sourdough wood oven bases, and importantly for me they offer vegan cheese, so I could substitute that on any pizza I wanted. I went for the Rustica (aubergine, sundried tomato and artichoke with cheese) which I’d highly recommend. I can’t recommend Double Zero enough if you like pizza and wine – and who doesn’t count that amongst their favourite combos? I’ll definitely be back. This weekend I headed to London to visit a few friends. I completely forgot about the London Marathon taking place on the Sunday, but we managed to navigate our way through the crowds for food, and on Sunday I headed towards the Thames to meet a friend for brunch. She suggested the Coppa Club – I’d never been before, but I’m glad she did as the food and atmosphere was great. Coppa Club is open early in the morning until late so you can enjoy brunch, lunch, dinner or cocktails there with great views over the Thames and of London. I opted for the skillet full English breakfast to cure my woozy head, which involved the full works of bacon, sausage, eggs, hash brown and beans all arriving on a hot skillet. I also had a white peach sangria – the only way to cure a hangover! The place is really relaxed and you don’t feel rushed so you can enjoy your time eating chatting away. 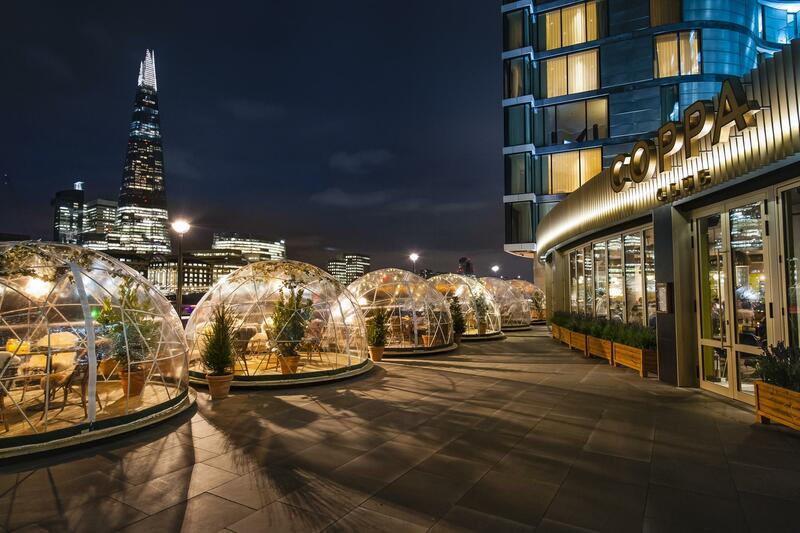 There are also some cool igloo pods that sit out of the front of the restaurant, which had great views of the city. If you’re ever in London this is definitely a place to visit for brunch. I’m dedicating my Friday Favourite this week to a book that I’ve recently finished, and want everyone to go and read so that I have someone to talk about it with! 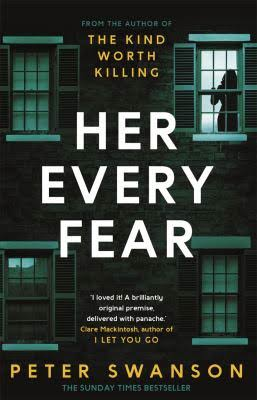 Her Every Fear is a psychological thriller that had me gripped by every page. The Sunday Times bestseller revolves around the main plot (no spoilers) of Kate, a British girl who arranges a house swap with her American cousin, and boldly moves to Boston, only to find that there has been a murder in her new apartment building. The novel is told from several points of view and I know people say this often about books, but I genuinely couldn’t put it down, I even sacrificed Scandal bingeing to read it, kind of a big deal. After finishing Her Every Fear, Peter Swanson has earned his spot as my favourite author. He was pretty high up there after his debut, The Kind Worth Killing (my favourite book, which I recommend to everyone) but this confirms it, and I’m already looking forward to his next novel. My Friday favourite this week is dedicated to the earrings that have managed to replace my beloved big silver hoops. I went to Mango earlier this week to exchange a skirt and told myself not to leave with anything new – which of course, was impossible after seeing these beauties looking at me in the queue. Continuous line drawing is becoming a big trend lately on Instagram and in the form of art prints and jewellery. 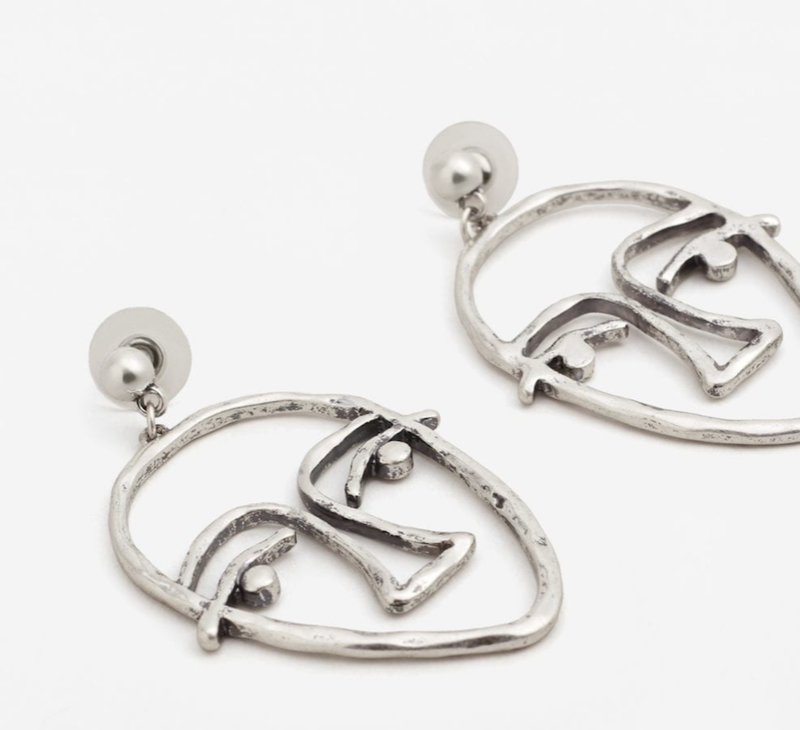 These earrings play on that, being minimalist while still making a statement. I’m definitely more of a silver jewellery girl than gold, never without plenty of rings and my big silver hoops so these £9.99 Mango earrings will fit right in with the rest of my collection.